The code looks fine, is syntactically correct, and works … but there’s one big problem with it: the calls are made sequentially. To run these calls – which are promises – in parallel, one can reside to using Promise.all. 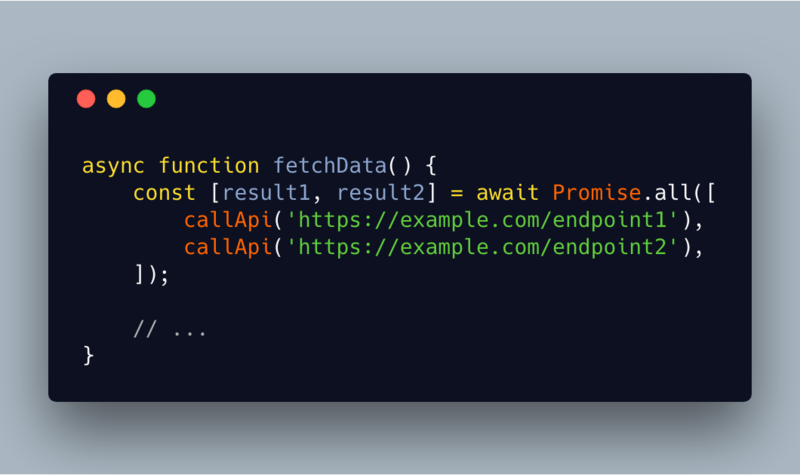 The Promise.all(iterable) method returns a single Promise that resolves when all of the promises in the iterable argument have resolved or when the iterable argument contains no promises. It rejects with the reason of the first promise that rejects.